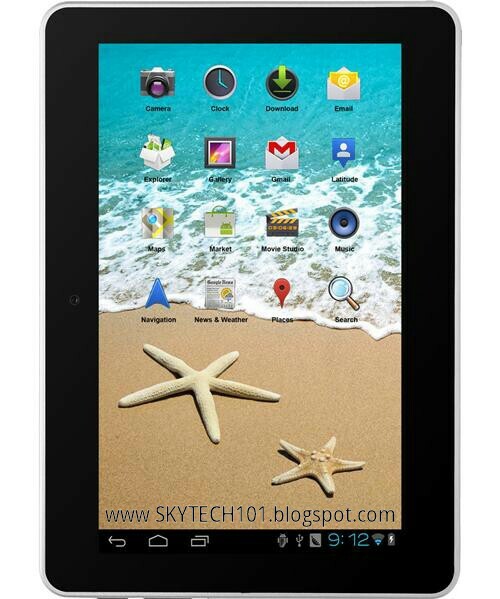 Lava International promised to launched a new tablet running Android 4.2 few months ago. So keeping their promise they have launched the all new Lava E-Tab XTRON+ It has a 7-inch capacitive multi-touch IPS display with 1024 x 600 pixels resolution. As said earlier it runs on the latest Android 4.2.2 Jelly Bean OS. The tab is powered by a 1.5 GHz dual-core Cortex A9 processor with Mali-400 quad core GPU ensuring good gaming experience. There is alos a 2MP rear camera along with 0.3MP front-facing camera. There is 1GB DDR3 RAM & 8GB internal memory. Lava E-Tab XTRON+ comes with Vedic Maths Package Free and discounts worth Rs. 4000, Free Career Booster package and 20% Discount on Edukart courses from edukart.com and one month unlimited online movie package from BigFlix for Re. 1. Lava is trying to make it a Edutainment device. Lava E-Tab XTRON+ is priced at Rs. 6,990.